We provide 30 days for returning or exchanging after you received the the items which you purchased from us. We do reply to all our messages and emails and do not ignore you, if you are not satisfied with your product or shopping experience then please contact us to resolve the issue before leaving a negative/neutral feedback.
? High-quality sweater/top for everyday wear, full of male charm ? Welcome to POHOK,POHOK Big Clearnce! 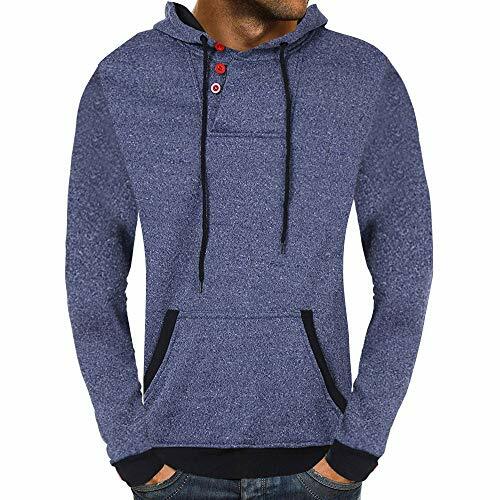 men's tops / sweaters big discount, high quality, big promotion! ? We have a perfect return policy and customer service to help our customers solve problems. Your satisfaction is our greatest encouragement. ? Please carefully compare the size chart to choose the size that best suits you. ? New high quality tops, Please be assured of the purchase. if you have any questions, please contact us by email, we will reply you as soon as possible to help you solve the problem, welcome your feedback and suggestions.